An Anglo-Saxon charter of 862 identified the boundary of land belonging to Mōda’s people. The name Mōda suggested someone who was proud, bold and hard-working. This was farmland until the mid-19th century, with a handful of large houses on Mottingham Lane (near the top left corner of the map below), including Mottingham House and Fairy Hall. The latter was rebuilt in 1856. In the absence of a signi­ficant settlement, Mottingham station was at first called Eltham when it opened in 1866. 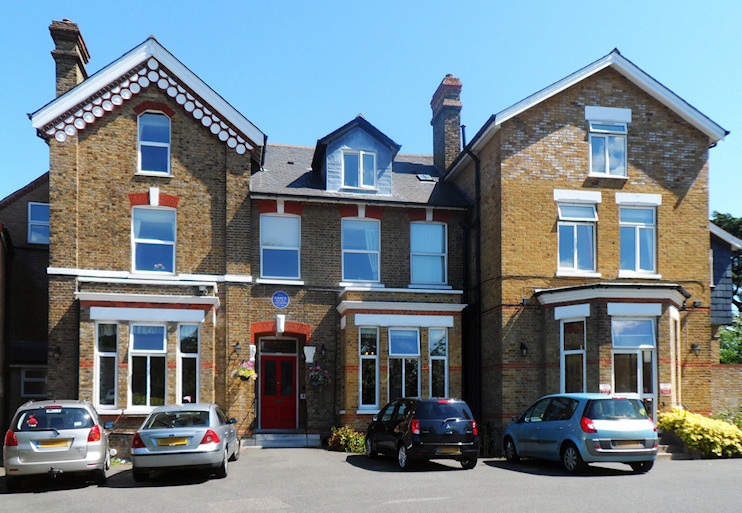 Cottages were built on what is now Mottingham Road, with the shops of the Terrace. The West Park estate was laid out with houses for the middle classes in the 1880s and St Andrew’s church was built in the fields between the station and the village. The Royal Naval School moved from New Cross to Fairy Hall in 1889. The hall was acquired by the School for the Sons of Missionaries to form Eltham College (shown in the photo­graph below*) in 1912. In that same year the Ironmongers’ Company built Sir Robert Geffrye’s almshouses on Mottingham Road to replace the homes in Hoxton that have since become the Geffrye Museum. Suburban devel­opment began after the Sidcup arterial road opened in 1923. The London County Council acquired Court Farm and began to lay out the Mottingham estate. Schools and shops were provided and the first of the estate’s 2,000 homes were occupied in 1935. In the same year, north of the railway line, the Metropolitan Borough of Woolwich acquired a surviving fragment of the landscape of Eltham Lodge, with woodland and a lake that are now the Tarn bird sanctuary. The capacious King and Queen public house opened in 1937 at the corner of Kimmeridge Road and St Keverne Road. Mottingham House was demol­ished in 1969 and replaced with the flats of Colview Court. The found­a­tions of a Tudor mansion were uncovered during construction. The Greater London Council acquired the Geffrye almshouses in 1971, remod­elled them and built new housing in the grounds. The estate is now managed by Affinity Sutton. More housing replaced the King and Queen pub in 1992 – in and around King and Queen Close. 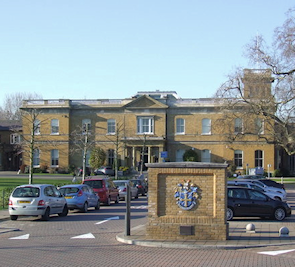 Bromley’s ward of Mottingham and Chislehurst North has an overwhelm­ingly white population but in other respects the ward stands out from the rest of the borough (as it does on the map too, forming an isthmus surrounded by Greenwich to the north and east and Lewisham to the west), with fewer married couples, lower car and home ownership and lower levels of educa­tional attainment. In her history of Mottingham, Winifred Parkinson lists “poverty, poor health, disad­vantaged families, unemployment [and] insuf­fi­cient investment in youth” among the challenges facing the district in the 21st century. In contrast with the ‘challenged’, municipally built part of Mottingham, the vicinity of Eltham College has an almost genteel ambience. This area is sometimes known as Mottingham Village. Punk rocker Siouxsie Sioux went to school in Mottingham. * The picture of Fairmount at the top of this page is adapted from an original photograph, copyright ‘Spudgun67’, at Flickr, made available under the Attribution 2.0 Generic licence. The picture of Eltham College is adapted from an original photograph, copyright Malc McDonald, at Geograph Britain and Ireland, made available under the Attribution-ShareAlike 2.0 Generic Licence. Any subsequent reuse is freely permitted under the terms of those licences.